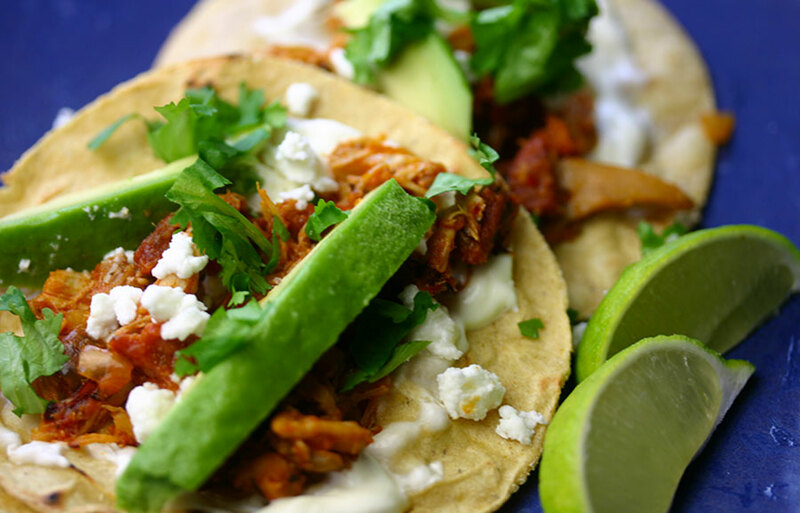 Chicken tinga tacos – fun to say, fun to eat… And a great leftover to use in packed lunches throughout the week. 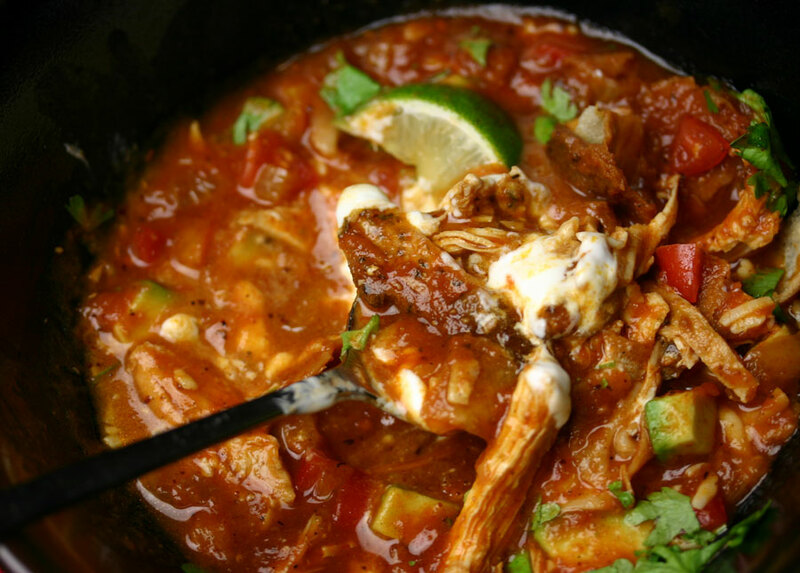 Another bonus of making chicken tinga is the delicious stock that results from poaching the chicken. Sometimes I freeze it, but more often it gets added to soups or risotto over the following days. 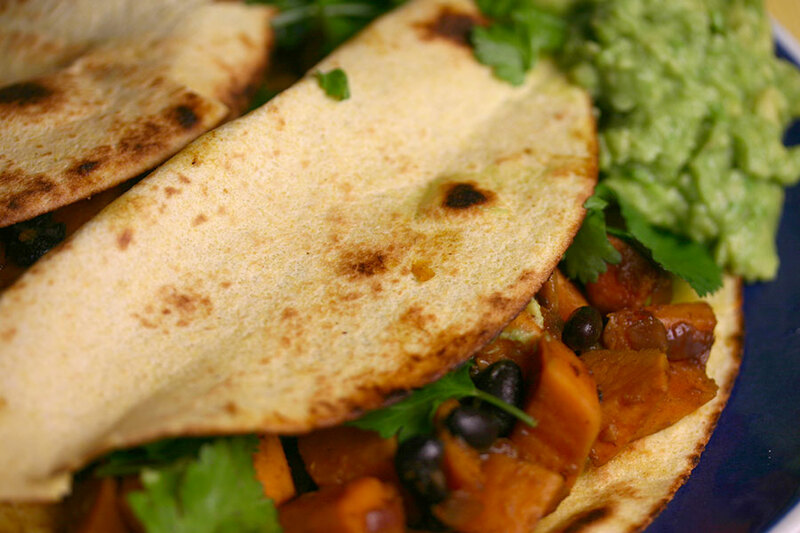 Sweet potato and black bean tacos are currently the “go-to” taco around here. Last year was all about fish tacos, but the tilapia I favoured has vanished from the fish counter, for one thing. Also, we are make a conscious effort to have more meat-free dinners each week, and these are helping with that ambition. 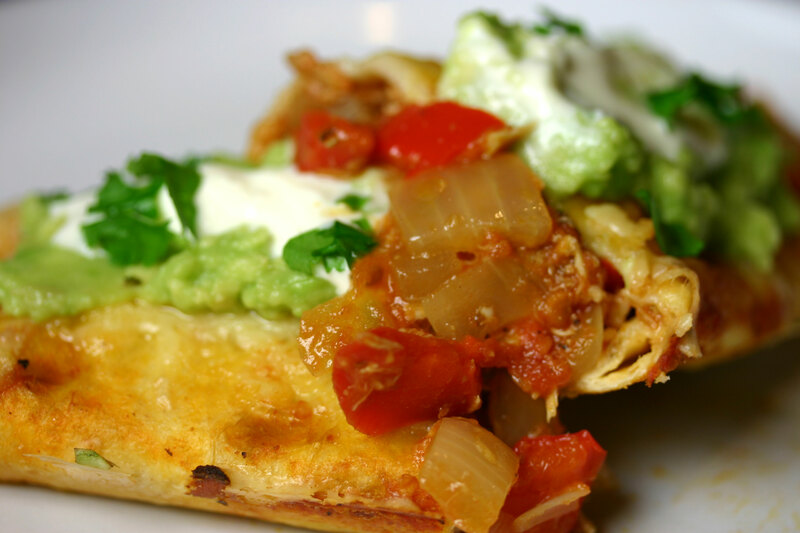 Guacamole is one of those things it should be impossible to get wrong. 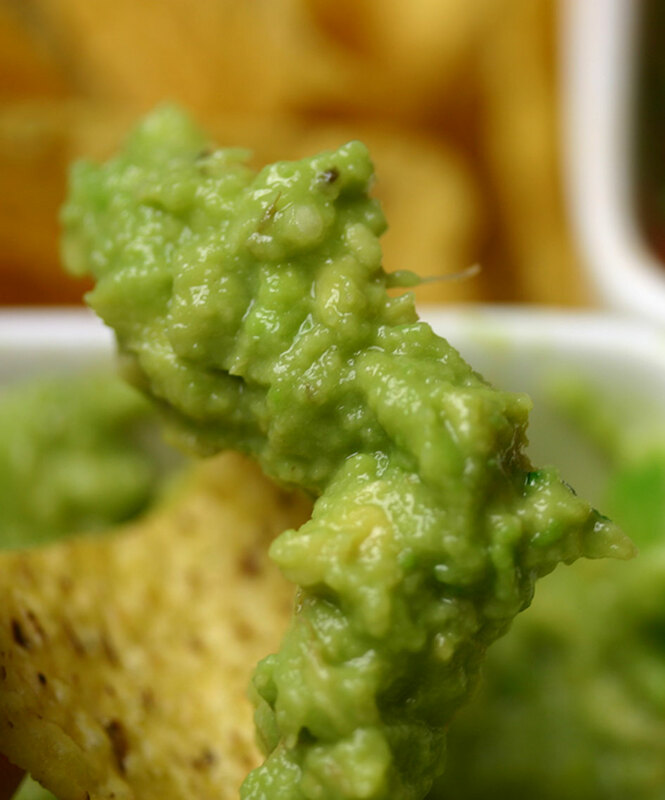 Mash and season a ripe avocado, serve with tortilla chips – the shortest recipe ever. There are so many versions of chicken tortilla soup – some light and lime-fragrant with bits of chicken and tiny squares of tortilla like some sort of Mexican miso soup. Mole de olla (or kettle stew) is a traditional Mexican dish made from beef and vegetables – typically corn, potatoes, green beans and courgette. 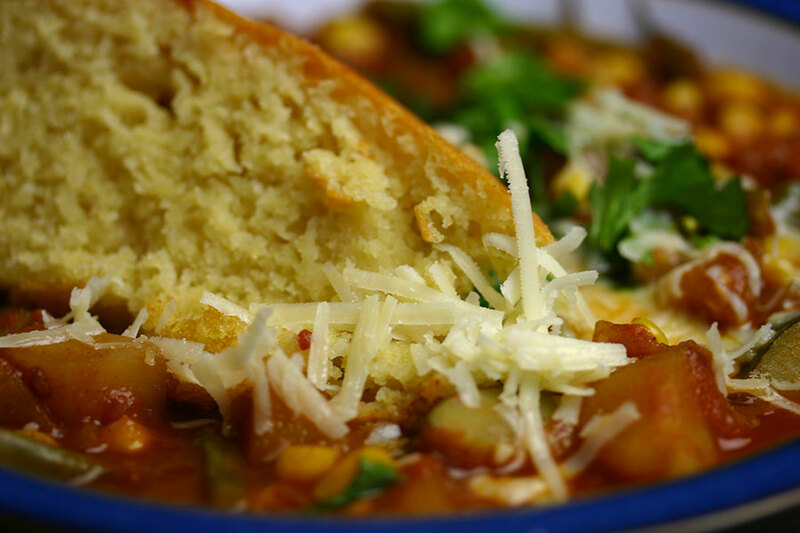 This vegetarian version comes from the Sundays at Moosewood cookbook – I’ve been making it for years, and always serve it with fresh cornbread to soak up the delicious sauce.